15 Jun 2018 --- The US Food and Drug Administration (FDA) has issued guidance which identifies eight specific fibers that can be classified as “dietary fibers” on the upcoming Nutrition Facts Label, marking the end of two years of uncertainty for manufacturers. In 2016, the FDA initially announced a new regulatory definition for dietary fiber and stated that to be considered a source of fiber, isolated or synthetic non-digestible carbohydrates must have a demonstrated physiological health benefit. “They can also be counted as fiber on the Supplement Facts label. The eight new fibers are: mixed plant cell wall fibers (a broad category that includes fibers like sugar cane fiber and apple fiber, among many others); arabinoxylan; alginate; inulin and inulin-type fructans; high amylose starch (resistant starch 2); galactooligosaccharide; polydextrose; and resistant maltodextrin/dextrin,” he notes. Sensus, the manufacturer of Frutafit (inulin) and Frutalose (oligofructose) chicory root fiber, has welcomed the announcement that the FDA recognizes inulin-type fructans derived from chicory root as dietary fiber. Beneo's chicory root fibers have also entered the approved list; Orafti inulin and oligofructose. “This decision means that consumers can continue to access great tasting fiber naturally sourced from chicory roots, without any labeling confusion. 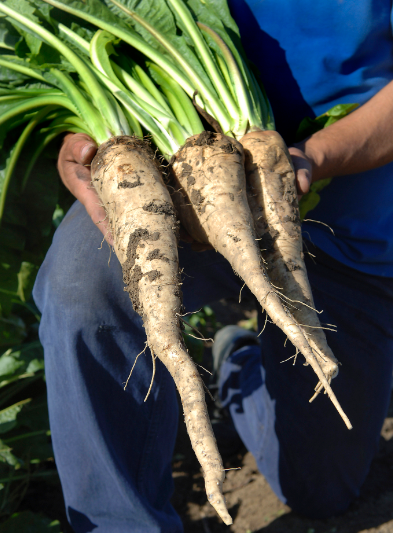 We are excited to be working with both new and existing customers to develop great new ways to help more consumers benefit from chicory root fiber,” says Anke Sentko, Vice President Regulatory Affairs & Nutrition Communication at Beneo. The new Nutrition Facts label will incorporate the latest evidence-based information on nutrients, such as added sugars, to provide consumers with more information regarding their food choices. The implementation of this new label has proven tricky, and the compliance deadline has been an issue of debate over the past months. Although previously the compliance date for manufacturers with US$10 million or more in annual food sales was established as July 26, 2018; this has been extended to January 1, 2020. In the case of manufacturers with less than US$10 million in annual food sales, the compliance date was set as July 26, 2019, but now it will be January 2021. “This is our first overhaul of the food label in more than 20 years. It’s aimed at making sure that consumers have access to an updated label that’s based on updated science and provides more information to empower them to choose healthful diets,” Gottlieb notes, adding that it is crucial for the FDA to provide clear expectations so that industry can meet the US government’s new labeling requirements. 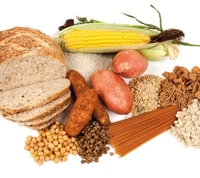 According to the agency, not only can suppliers breathe a sigh of relief at receiving further guidance on dietary fiber for the new Nutrition Facts label regulation, but consumers can also feel assured that more precise information regarding fiber is, hopefully, coming their way. “Increasingly, Americans are seeking healthy food options, whether they’re eating out or dining at home. Their ability to choose healthy foods starts with their ability to understand what’s in their food in the first place. Public surveys suggest that Americans want food makers to be transparent about what is in a product and how it’s made. We at the US Food and Drug Administration are doing our part to ensure consumers have updated, science-based information to help them make more informed dietary choices,” adds Curto. “Fiber-containing fruits, vegetables and grain products, particularly soluble fiber, may reduce the risk of coronary heart disease and can help lower cholesterol levels. Certain dietary fibers can also increase calcium absorption in the intestinal tract, improve laxation, or reduce calorie intake. After manufacturers update their labels, consumers will be able to trust that if a food label states that a product contains dietary fiber, the source of that fiber is scientifically shown to have a beneficial health effect,” Curto concludes. You can read more about functional fiber on the market here.